Having played Scholboys Football with Castleview, Aiden played in Goal for the great Central Rovers team that won the League and AOH Cup double in 1983, along local Soccer icons, Billy Cronin and Patsy Freyne. In 1988 Aiden did the Referees Course and joined the Local Branch of the Irish Soccer Referees Society, making an immediate impression he refereed his first final within a year between Rockmount and Ringmahon Youths. Climbing the refereeing ladder quickly Aiden was awarded the Referee of the Year by the Cork AUL in 1991 and the same year Aiden assisted Sean Manley when Cork Officials travelled to Dublin for the Intermediate Cup Final. 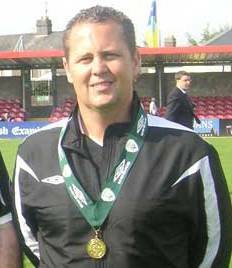 After then refereeing the Munster Senior Cup 1/2 Final, Aiden was promoted to the National League (or League of Ireland as it was then) where he remained one of the Country’s top Referees until his retirement in 2007 refereeing numerous top Premier Matches in his 15 years at National Level, including his involvement in the 1997 FAI Senior Cup Final. He was nominated on more than one occasion for a FIFA Badge by UEFA but was not successful, and this remains his biggest regret. Yet Aiden has officiated at all major club tournament across Europe, including Champions League, UEFA Cup and the Cup Winners Cup, representing the FAI and ISRS with great honour. After his National Career ended Aiden took on a very active role locally helping “Grassroots” Referees with his invaluable experience and stepped up to the Branch Committee with unanimous support, becoming Vice Chairman in 2008 and taking the Chair for the 50th Anniversary Year. In a year that had many ups and downs Aiden steadied the ship and kept it on an even keel, culminating in the very successful Gala Dinner Celebration for our 50th Anniversary. 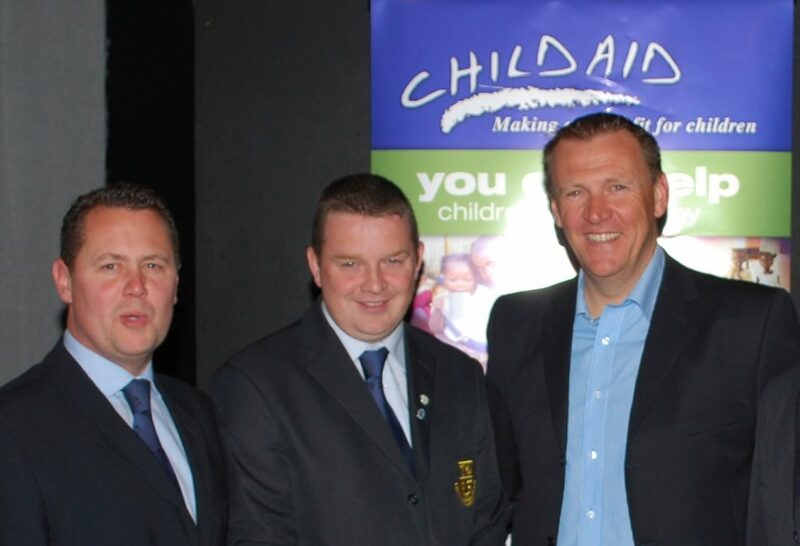 An event that was attended by Four of the Founding Members, John Delaney FAI CEO and Former World Cup Final Official and UEFA Referees Committee Member Hugh Dallas from Scotland and proved under Aiden guidance and leadership to become an event that will go down in the history annuls of local sport in Cork. Aiden was also very much behind the successful productions in the Cork Arts Theatre when ISRS Cork brought World Famous Referees David Elleray and Graham Poll to Cork to sell out shows at the Theatre. Although retired from National level Aiden has become one of the top Referees in local football and no doubt still has a few top appointments ahead in the future.